Now that the NFL season is officially over and done with, the free agency race is ready to begin. For some teams this can spell hope and bright future, but for others it could very well spell disaster as big name players change hands from team to team. ● Alshon Jeffery, WR – Jeffery is definitely one of the biggest free agents that’s up for grabs this offseason. Now the question is: Who will get him? Many would like to think that the Bears will try their hardest to keep their star receiver, but as many people know he is up for grabs and everyone in the league could use a great playmaker like Jeffery. 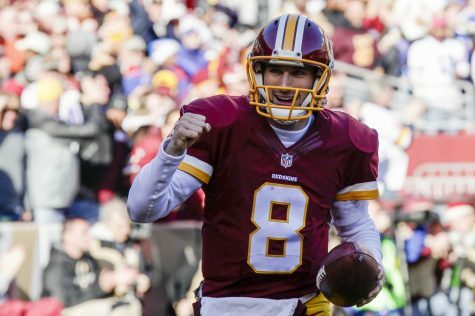 ● Kirk Cousins, QB – Another name that people are keeping their eyes on. Cousins played an above average season for part of the year, but he tailed off towards the end. Now that he has proved to be a very capable starting quarterback in this league, he may be a very sought after free agent, but one would think that the Redskins would pay any amount of money to keep their starter around, even if it means losing two of their starting wide receivers in the process. ● Pierre Garcon and DeSean Jackson, WR – These two go hand in hand, for the most part, as two of Cousins’ targets on the roster. With their contracts expired however, the Redskins front office may very well be letting one, if not both, of these receivers go as they have to – or so we think – pay Cousins the amount of money they need to in order to keep him around. ● Eric Berry, FS – Berry is the defensive leader for Kansas City and it should be a no brainer for them to try and keep it that way, but he can go to the highest bidder. There are a couple of teams that could definitely use a defensive guru like Berry in their secondary and it would be a huge blow to KC if they lost him. So, if contract talks don’t work between KC and Berry then their best bet is to drop the franchise tag on him and trying again next year. 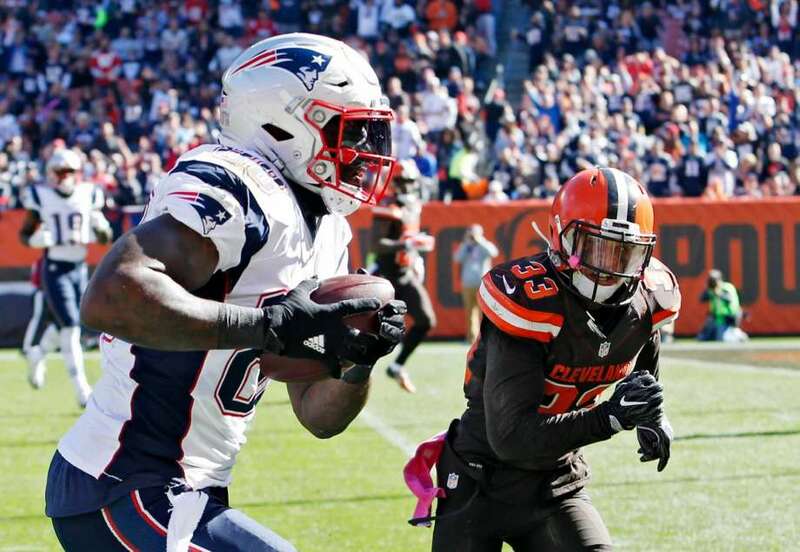 ● Martellus Bennett, TE – Bennett played a huge role in Gronk’s absence from the team, due to a couple of fractured ribs, by not only providing a much needed spark from the tight end spot, but also giving the team a more colorful media presence—as if they didn’t have one already. Bennett is a well-rounded tight end who is highly valued by the Super Bowl Champs so, it doesn’t seem like their front office is just going to let him go without a fight, but that doesn’t mean it’s going to be an easy fight. ● DeMarcus Ware, Julius Peppers and Robert Mathis, OLB – Now you might be wondering why these three are grouped together and that’s because of two reasons: 1. All three of these guys are highly valuable defensive end/outside linebacker hybrids. 2. All three of these guys are over the age of 30; Ware, 34, Peppers, 37, and Mathis at 35. Whether these guys stay with their current teams or if they find a new home somewhere else they will be an asset wherever they go. 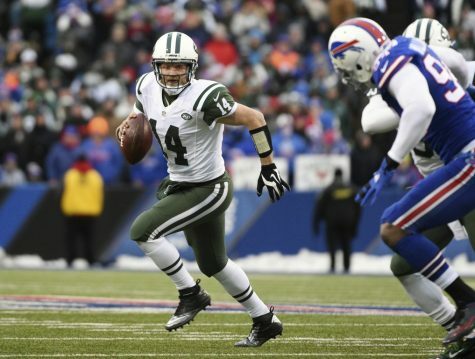 ● Ryan Fitzpatrick, QB – Everyone in the league saw what the Jets went through just to keep Fitzpatrick on the roster, and they also saw the less than desirable play of offense with Fitz at the helm. It’s safe to say that this past season made just about everyone in the league stay away from Fitz in free agency, as a starter at least. There are few teams out there that might have any interest in Fitz at all after turning such a disappointing season after the 33-year-old asked for a starter’s salary. ● Ricardo Allen, FS – Allen’s situation is a little different than most. He’s going into this offseason as an Exclusive Rights Free Agent, meaning he’s only allowed to sign with his previous team, the Atlanta Falcons, unless Atlanta extends a minimum qualifying offer to him. Judging by Allen’s defensive excellence throughout the season, especially in the playoffs, it doesn’t seem like Allen is going to get that qualifying offer. ● Kiko Alonso, ILB – Prior to a couple of years ago, Alonso was the backbone of the Buffalo Bills defense, then he was traded to the Eagles for LeSean McCoy, had an ACL scare, and was later traded to the Miami Dolphins along with cornerback Byron Maxwell. He is pretty much on his way to becoming the backbone of Miami’s defense, if they can keep him around. Seeing as Alonso is a restricted free agent, and is one of the better inside linebackers the league has to offer we’ll have to wait and see if the Dolphins can shell out enough money to keep him.